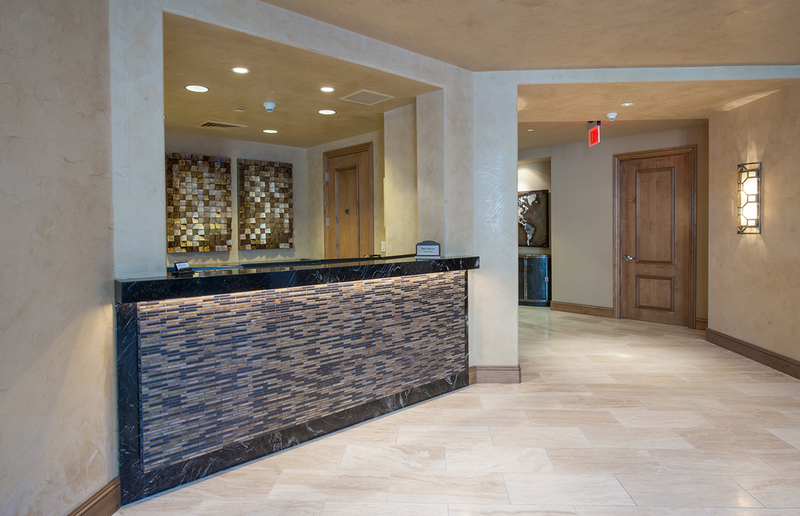 When the Scottsdale Waterfront Residences decided to remodel their lobby and public areas they selected Villagio as the sole supplier of natural stone tile. 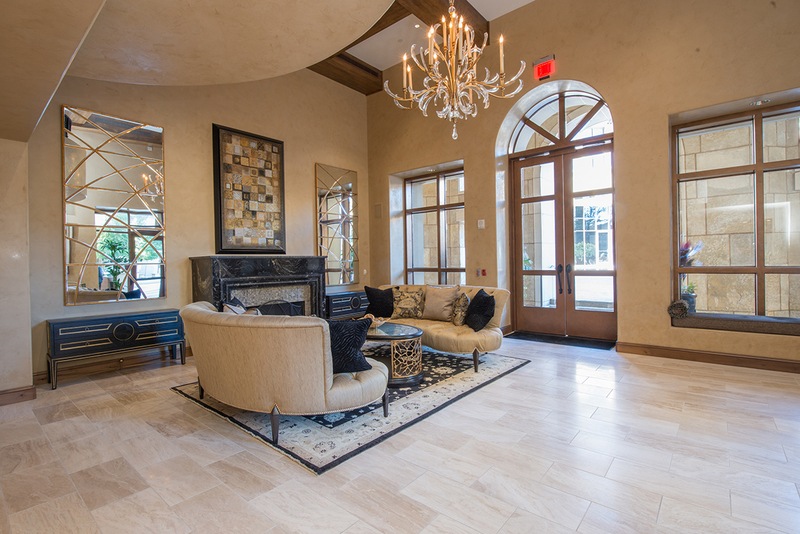 The Waterfront purchased over 40,000 sf of 12″ x 24″ stone tile to update their front lobbies and continue on throughout their entire residence access areas with elegant Verona travertine. As you can see from the before and after photos, the end result is a updated look and feel of the entire project. 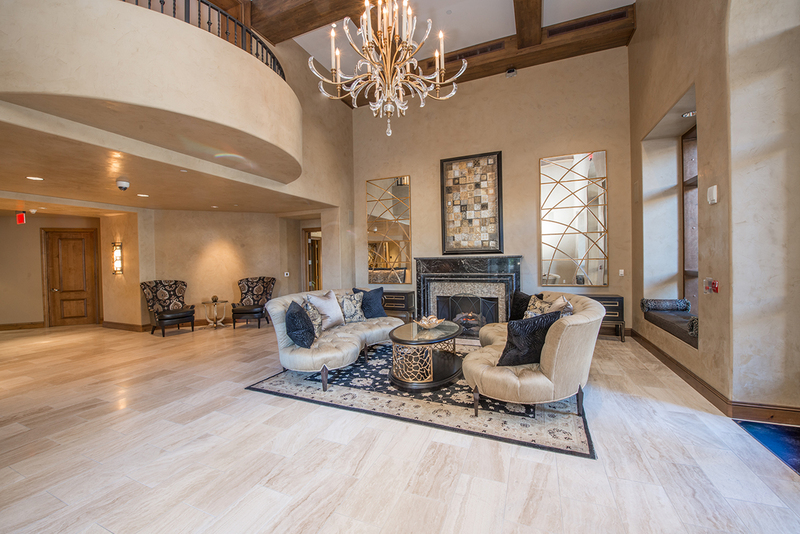 The Verona Travertine Stone from Villagio has an exclusive three stage honing process (rather than a typical single hone) that provides a consistent, smooth finish that closes the pores of the stone and creates an easy-to-clean surface. The very small holes are filled with a color matched epoxy resin that has a similar gloss and color as the face of the travertine. This means that the fill become virtually indistinguishable from the overall tile. 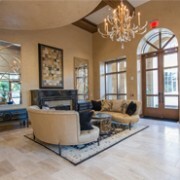 The end result is a travertine that truly has the look of a high end limestone at a fraction of the cost and is easy to keep clean. 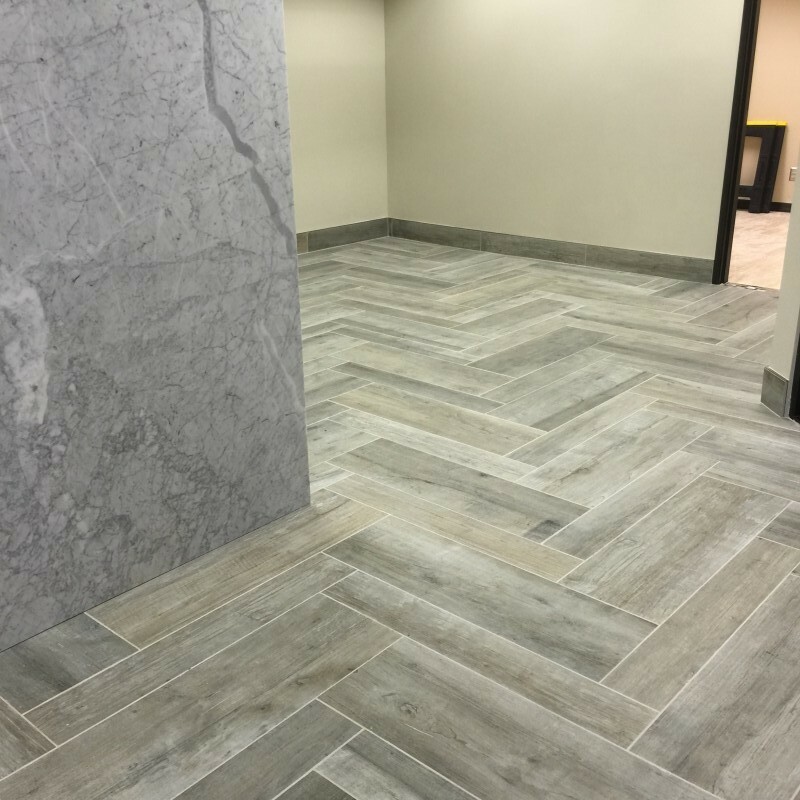 Verona is available in crosscut or veincut, three different colors, sizes up to 24″x48″ and finishes include honed, polished, tumbled and even our New Wave hand finished product. 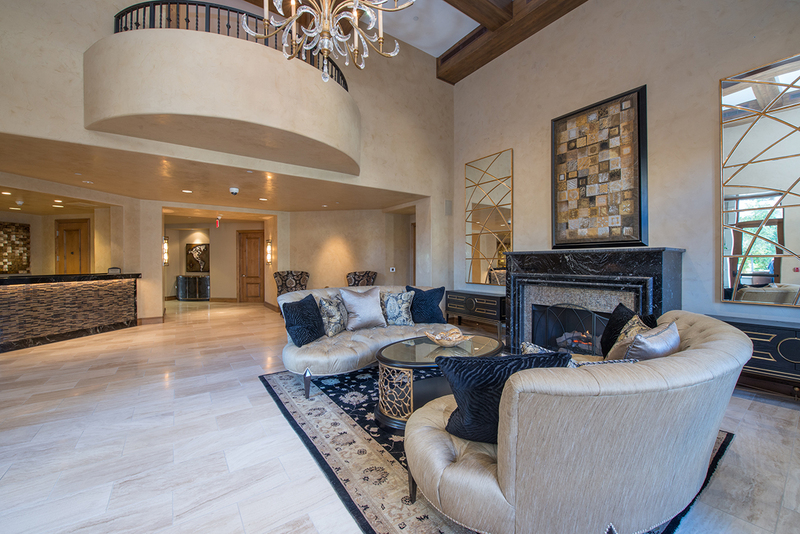 All the colors and finishes are on display in our beautiful Scottsdale showroom. 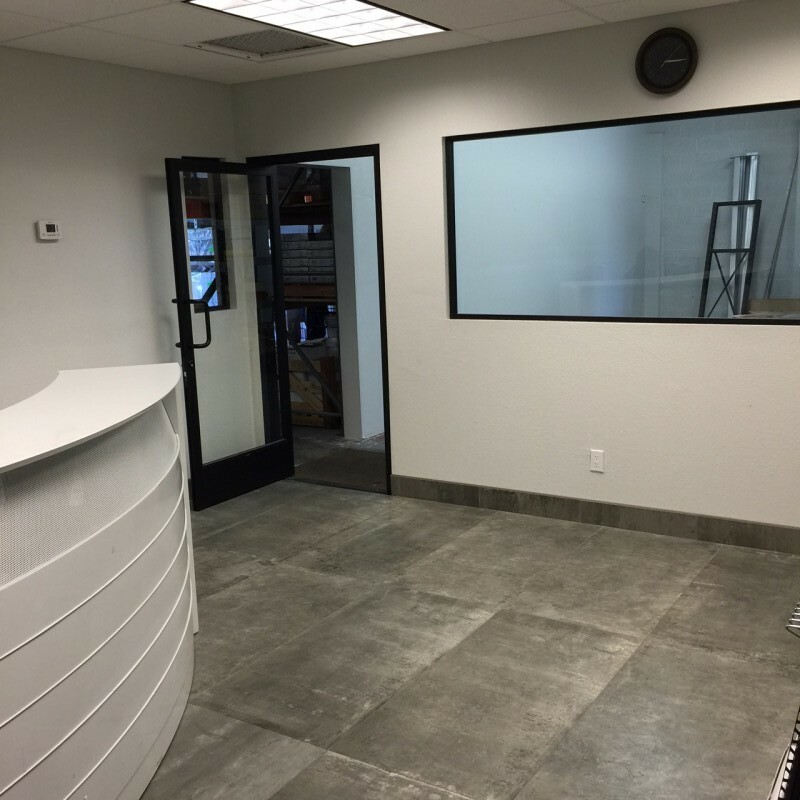 We recently updated and expanded our showroom. The response from our customers has been nothing short of astounding. We are now completing our first expansion of 2015. 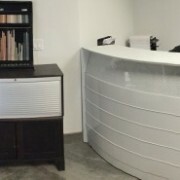 We have built out a portion of our existing warehouse (adjoining our showroom) and installing a contractor order desk. Check out these photos of the new space. 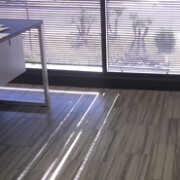 The tile on the floor is our new XXXL size 24″ x 48″ CRETA concrete-look porcelain. CRETA is available in 4 grey-toned colors in both Matte or Semi-Polished finishes. 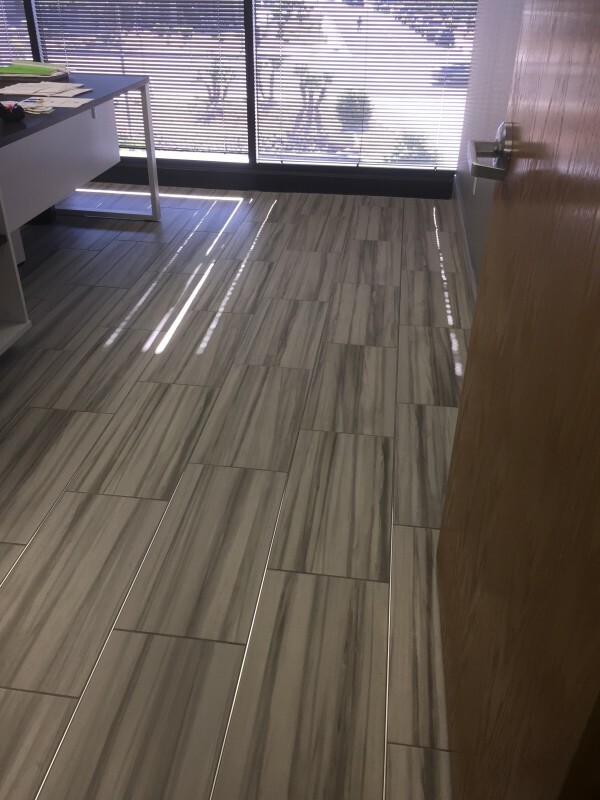 You really have to come in and see this floor for yourself to really appreciate the depth and realism of CRETA porcelain tile. Plans are now underway further expand our showroom into the former order desk/offices to accommodate new products. Stop by soon to see our newest additions! 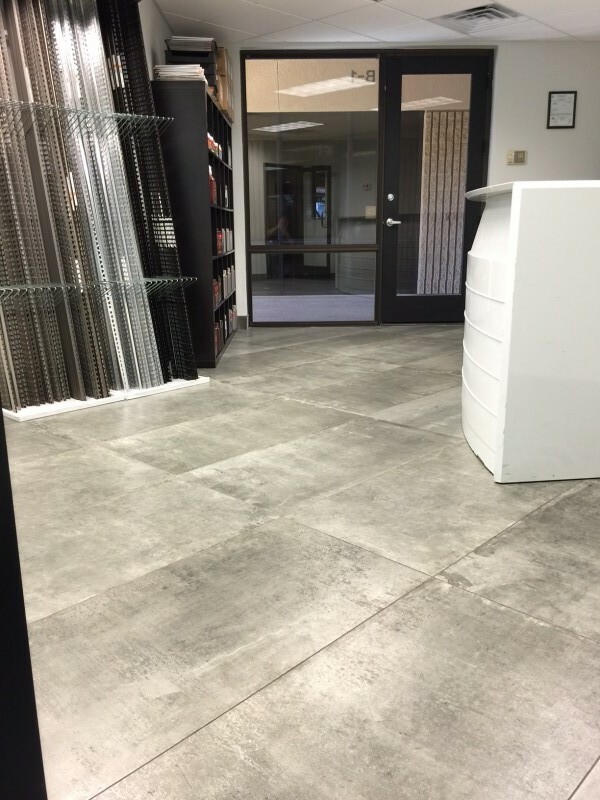 When INFINITY DEVELOPMENT GROUP LLC recently upgraded their new location in the Scottsdale Airpark, Jarrad Pavkov and Kelly Miller selected VILLAGIO as the exclusive supplier of porcelain tile for their office/showroom. 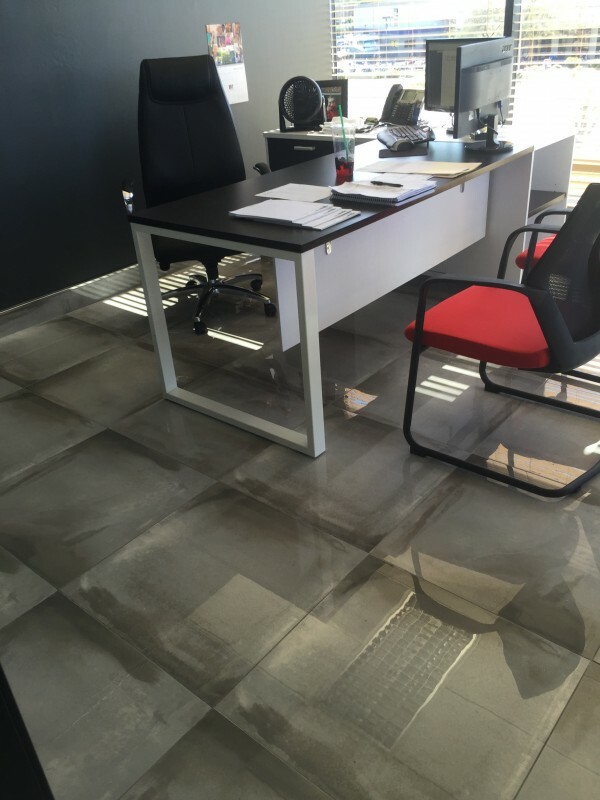 Although their offices are not complete, here is a sneak peak of the tiles supplied by VILLAGIO that truly reflect the INFINITY style they present to their new home and remodel customers. SPEAKEASY SIDECAR, a “best of 2014″ award winner, made in the USA. Featuring a timeworn, barnwood appearance with the durability of Porcelain. Available in five colors and 3 sizes: 6″x36″, 8″x36″ and 12″ x 36”. Made in Italy. 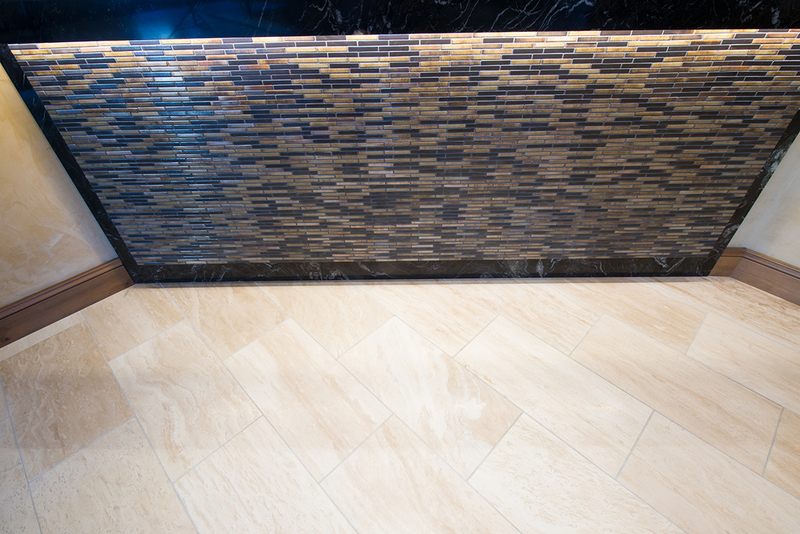 A matte finish porcelain available in five colors in 12″x24″ and 2″x2″ mosaic. In addition three of the colors also available in 16″x32″. 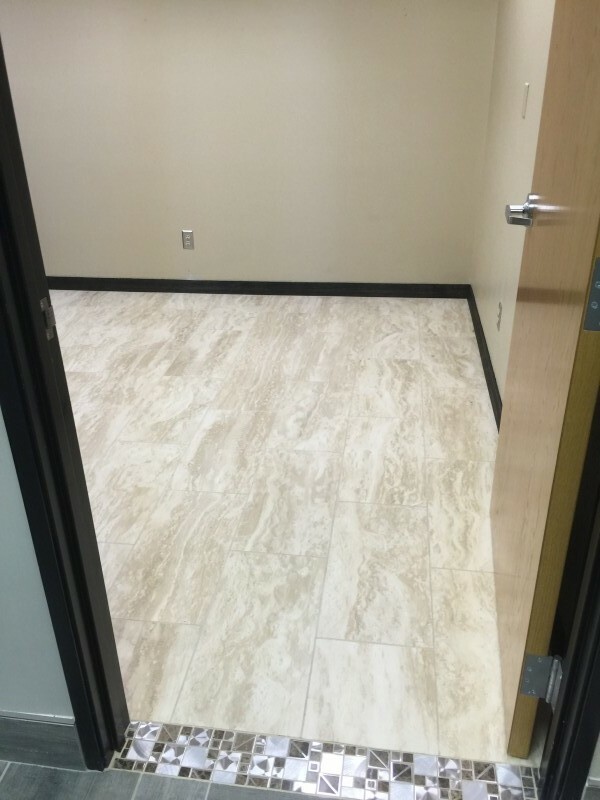 A polished porcelain 24″ x 24″ available in Light Grey and Grey. VERONA Honed Vein Cut, 12×24. 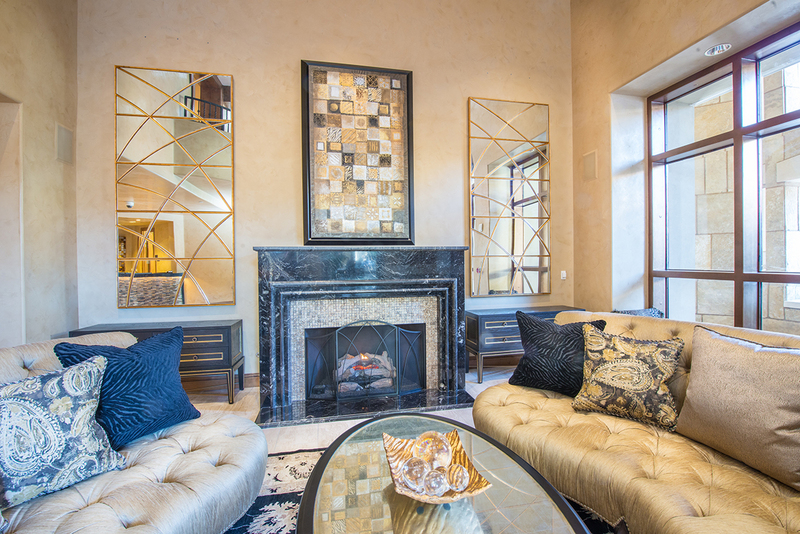 Available in a myriad of sizes and three colors, this super-premium travertine has a three-hone finish and resin-filled holes which results in a travertine with a silky finish that is easy to keep clean.